Counting has its own fixed rules. No confusion, no unexpected conclusions, only clear rules and a world, where chance has no place. Now, imagine that you will bring a synonym of chaos into this world – a creature, that spreads confusion and uncertainty around itself. Can it ever survive in such an unhealthy environment? Or will it swallow all the counting? Meet the outcome: it’s called Fluxx and lives in a small cardboard box. 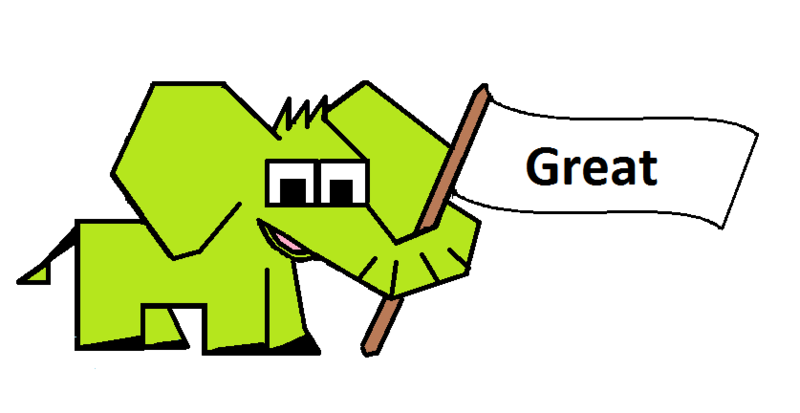 Its name evokes luck and luck. 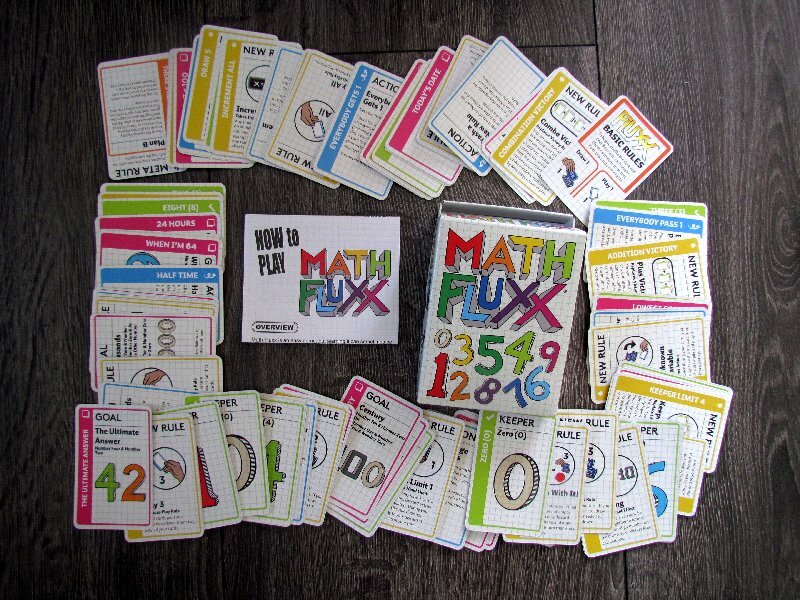 But the full name of the box is this time Math Fluxx. The combination of these seemingly incompatible words has been chosen as a new theme for this endless series from designer Andrew Looney. This novelty is stamped in 2017 and comes out in the shadow of Looney Labs and the European distribution of Esdevium Games. From the moment you take the box into your hand, one thing is clear from the lid – cards will be ruled by digits. 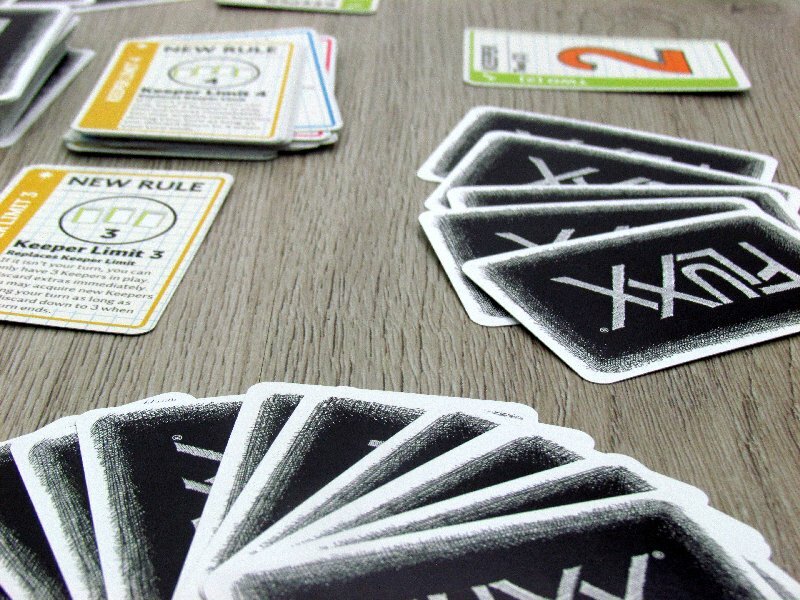 At the beginning of the game, players will find one rule card according to the color of its back side and place it in the center of the table. It represents the basic possibilities of each round – draw one, play one. These are all the limitations, that players are waiting for. Each of the participants then gets three of the remaining hundred shuffled cards in hand. It is with them, that the game begins. When playing cards, everything is controlled by the card type. If its a keeper, then the player places them in front of himself. And these cards are his way to victory. 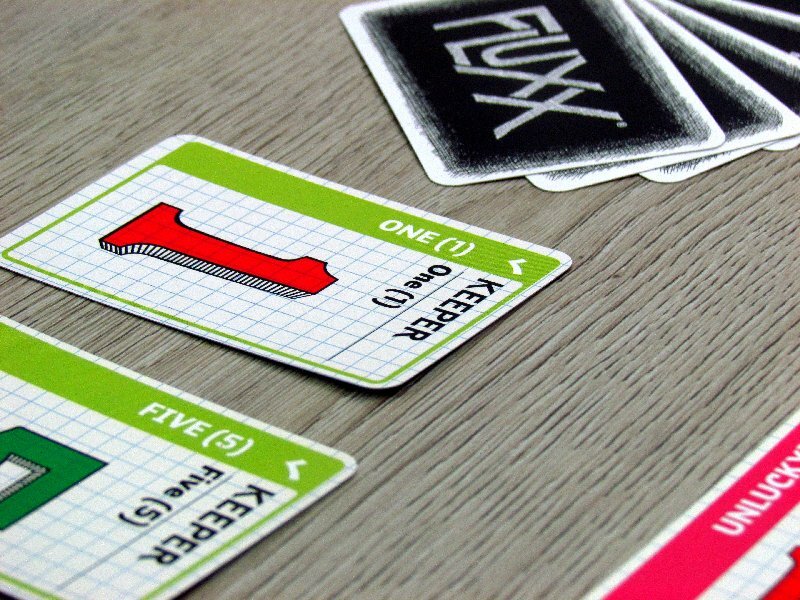 In Math Fluxx, digits can be combined. 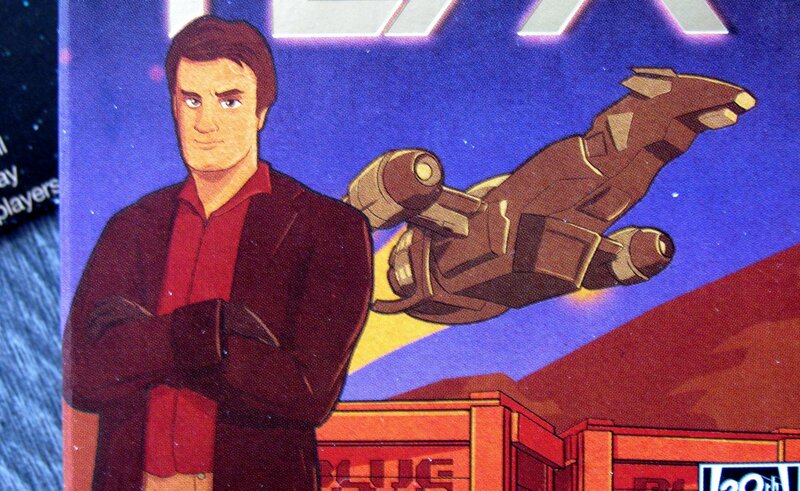 In addition, the player can get (and use once) a blue action card. The third important type is red cards. At the center of the table, there is usually one this type of red card, that can be easily replaced by another hand. Its called goal card. And if at any point, a player has a set of keepers equal to this goal, he immediately wins. 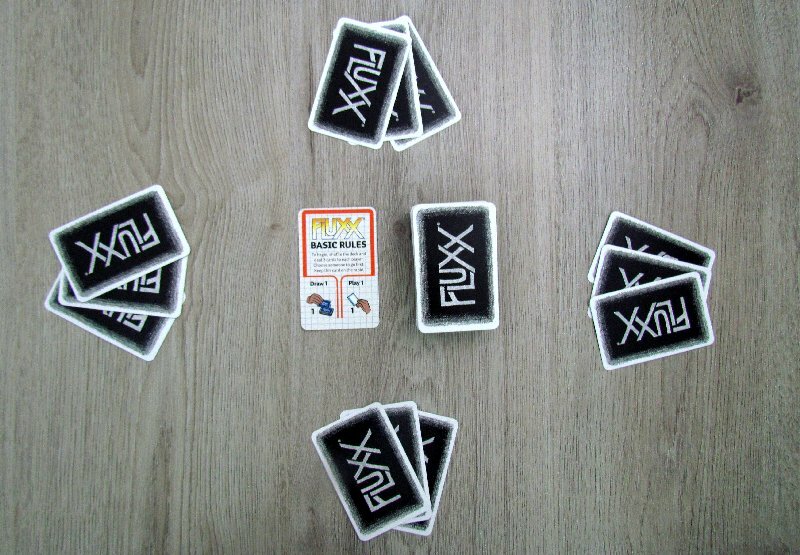 That’s how we just repeat the classic Fluxx rules. But the basic principles draw one, play one, usually only applies at the beginning of the game. 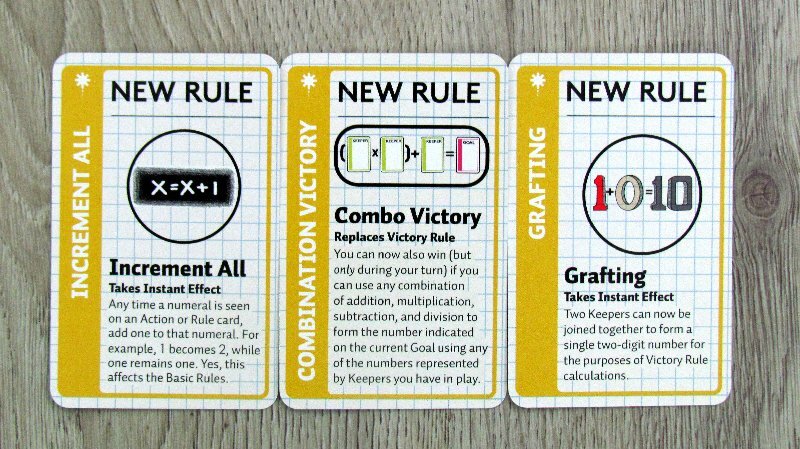 They are easily disrupted by rule cards, because players can also get a card with a yellow stripe into their hand. 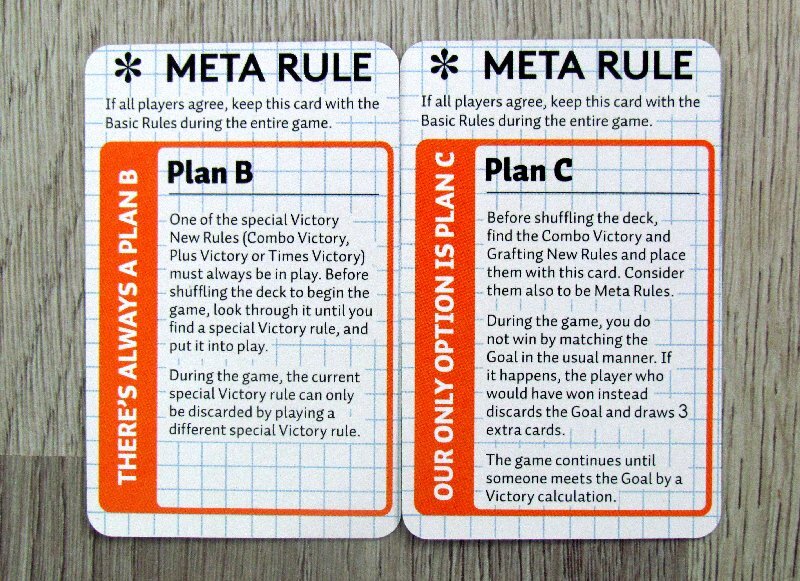 These cards carry new rules or changes to existing ones. This can not only change the number of drawn and played cards, but also increase the number of currently available tasks or limit cards in hand. But we all know that. 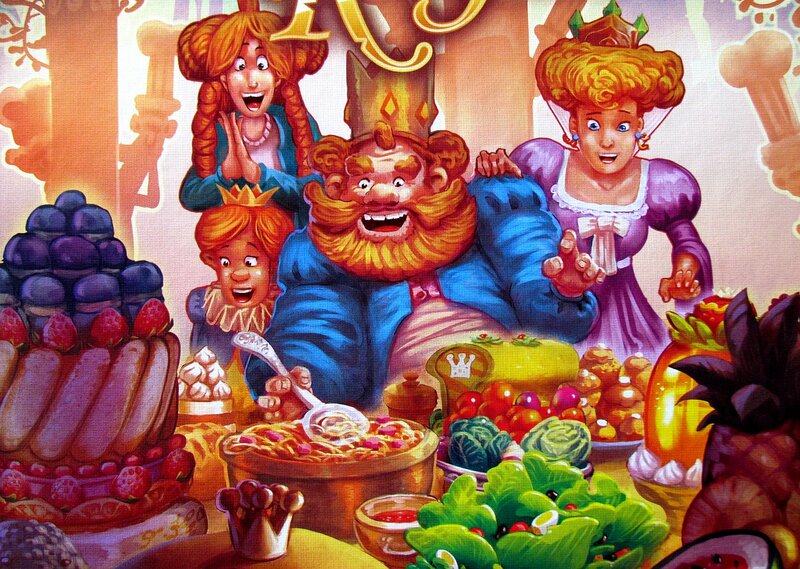 The whole game is very random, chaotic and unpredictable. It can end at any time and battle takes some minutes – about one quarter of an hour. Nothing can be predicted and very little can be influenced. But we have not hidden the fact, that we really enjoy playing in this absolute chaos. 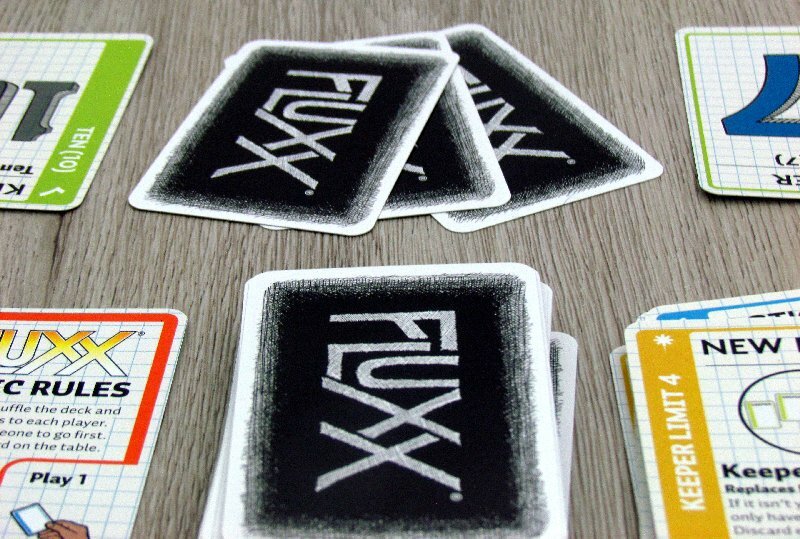 Its our favorite thing about Fluxx. It is one of the simplest card games, that always have a place in our backpack. 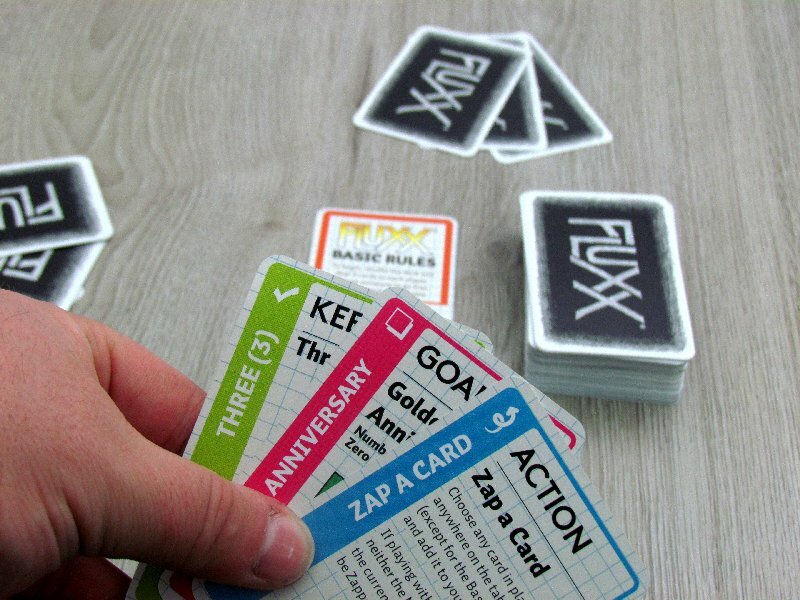 But today, there are more than 10 Fluxx versions (Star Fluxx, Zombie Fluxx or Oz Fluxx). And which should you choose, if you can take just one? And what distinguishes the numerical variant from its other elder brothers? The difference in rules would probably not have been expected. And even if you do, you will not. And before you ask, there are no creepers in the mathematical Fluxx. There is nothing to prevent players from winning. They just need to find the cards they need and win immediately. 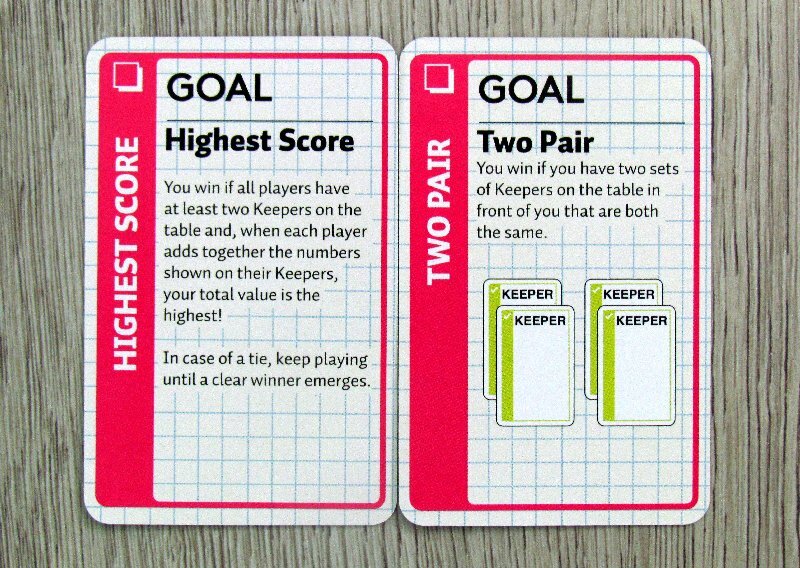 The first obvious feature is the goal cards. These are a combination of two numbers, for which the authors did not have to invent any complicated and humorous names. And yet, there is the answer to the Ultimate question – number 42. 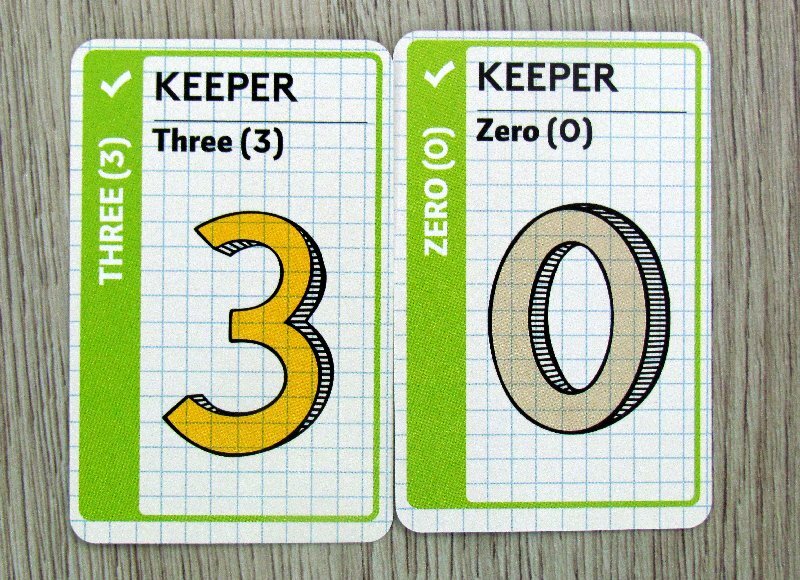 But the interesting thing is, that there are more identical keepers in the deck, so you can find more numbers here (but each has a different color). 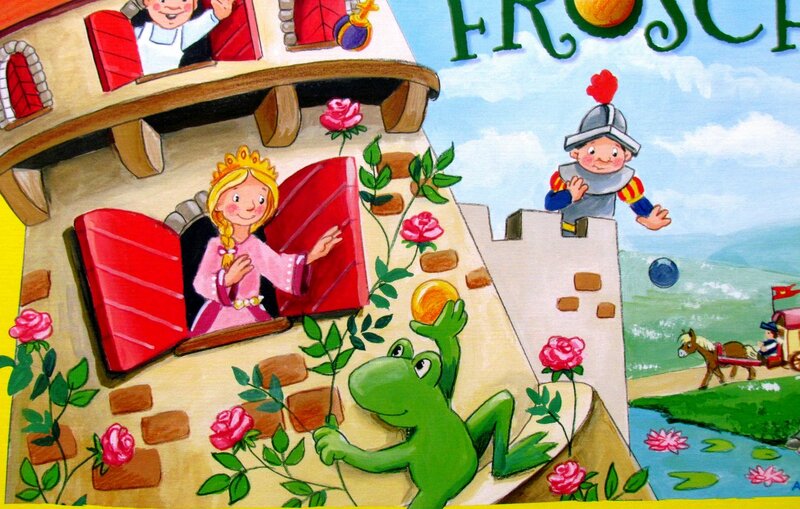 However, the author caught his chances by the root and devised a number of cards specific to this game. The first in a row is funny – there’s a “nothing” goal, where a player wins without any keepers with a higher value, than zero. 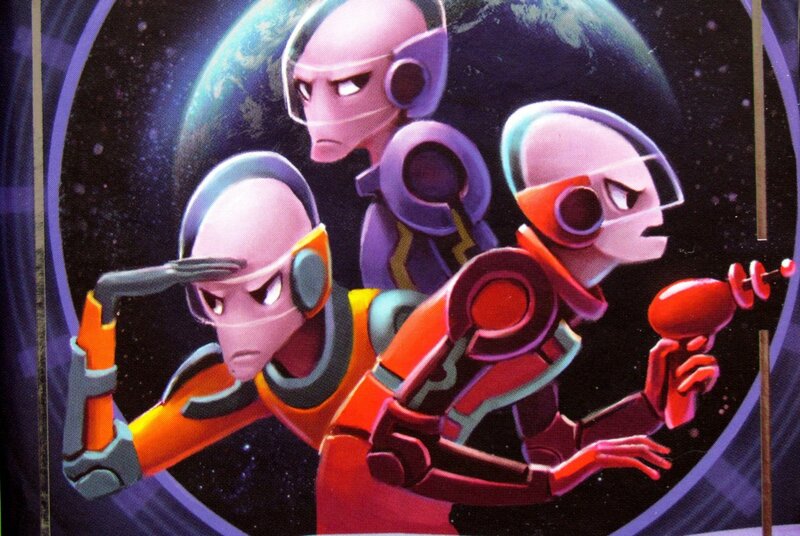 At other times, players try to combine numbers into their own age, today’s date, binary numbers. They can also create straight or trying to have the lowest sum of at least two keepers. And the delicacy at the end is a 100 times Pí, that is, number 314. If someone is able to complete this goal, then he wins. 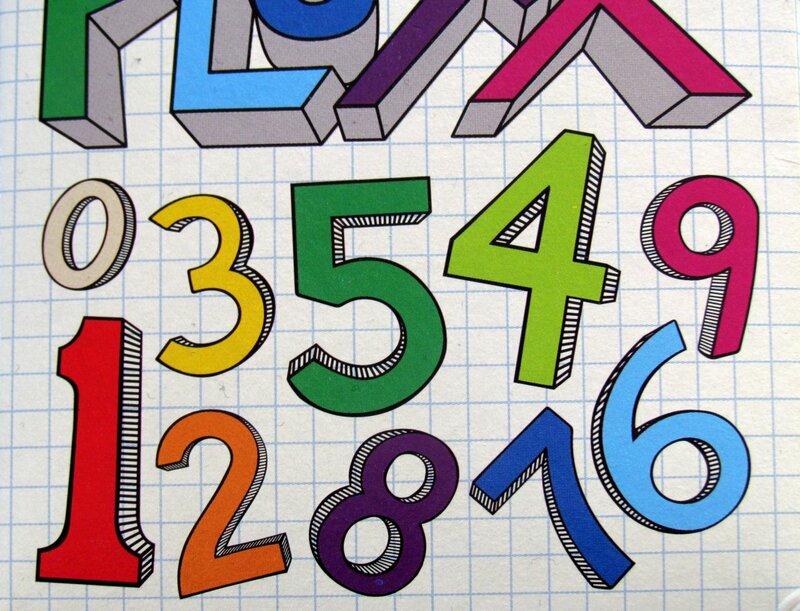 But that only applies, if someone can not enumerate the pi in the numbers with their keepers even to more digits. Objectives, however, will make you laugh with the text itself, perhaps with 101 spotted dogs. But there are also new rules. Thus, the numbers on the rules can be raised or lowered by the number one. 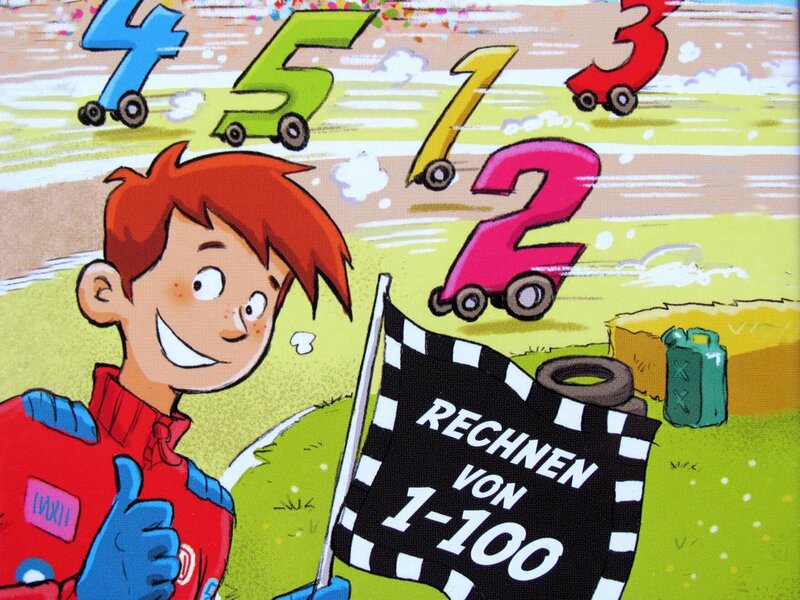 But a completely unique parameter is the chance to use math operations to reach the target number and instantly win. There are even two cards in the deck – one allows only additions, the other then any basic operation. 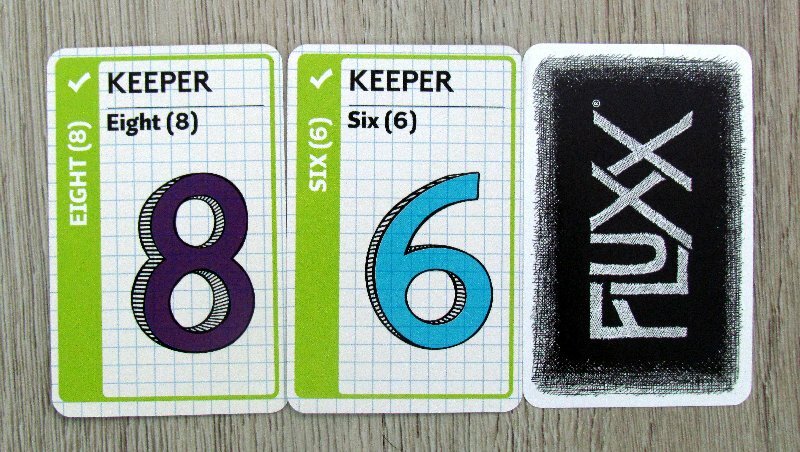 Math Fluxx gives players great new ways to win. 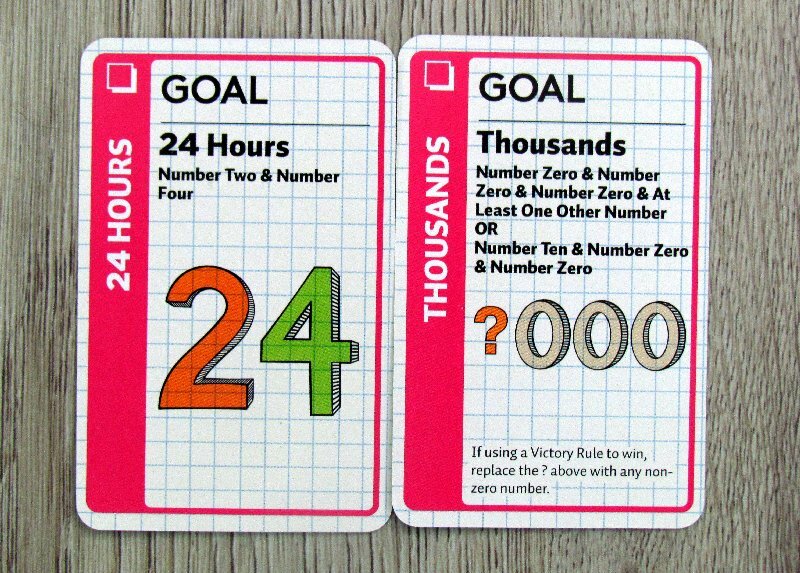 In addition to the usual collecting of sets of cards and waiting for the right target at the center of the table, players can try to combine their numerical calculations. But only if there is a rule on the table, that allows it. However, it’s also possible to modify the rules and allow this option all the time. 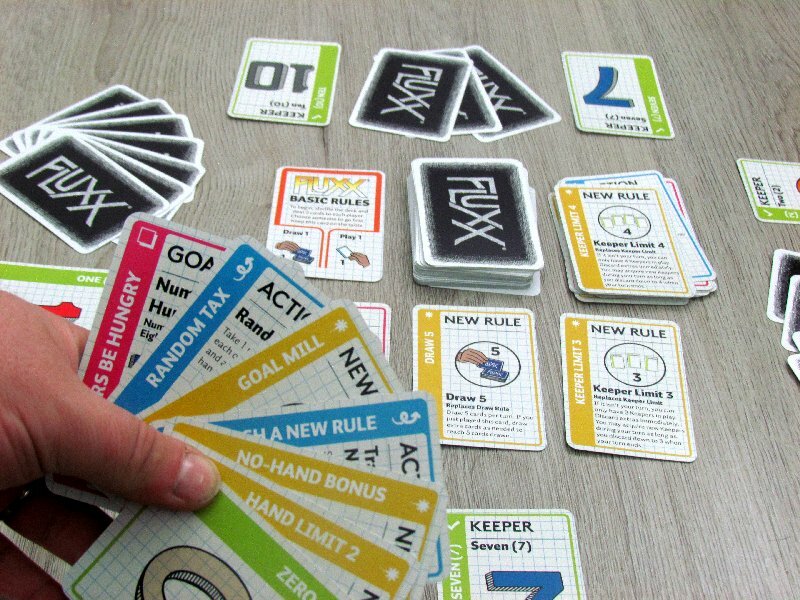 Math Fluxx separates this element of gameplay from other Fluxx and is once again an excellent and exciting creation! 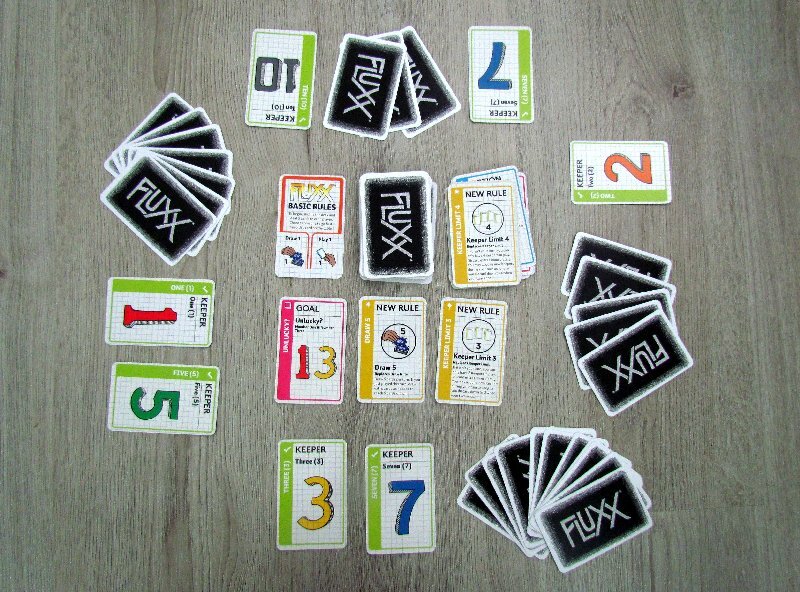 Math Fluxx is a card game about numbers, but it retains all the fun and unpredictability (even the negative) of the original Fluxx. The game offers new content of cards, but the course itself is the same. The only exception is the ability to reach the goal by adding the keepers, that have players in front of them. 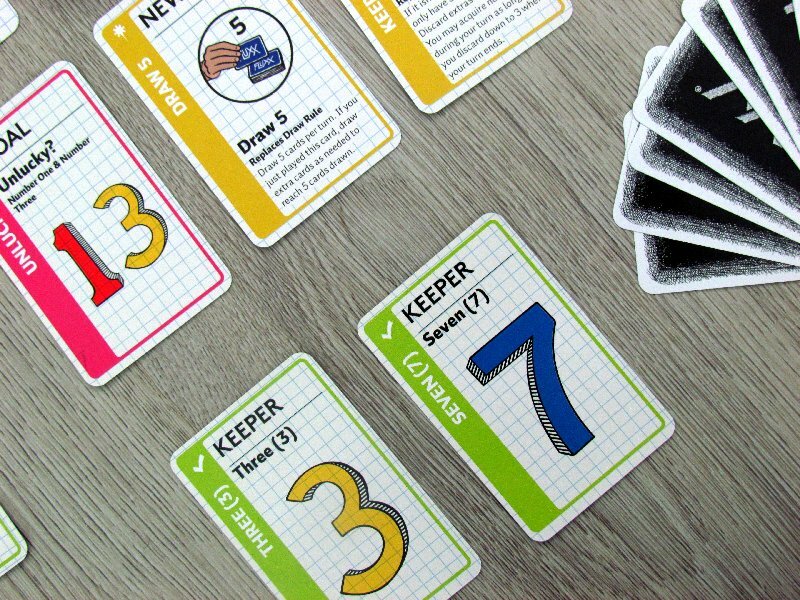 Math Fluxx is a great card fun.